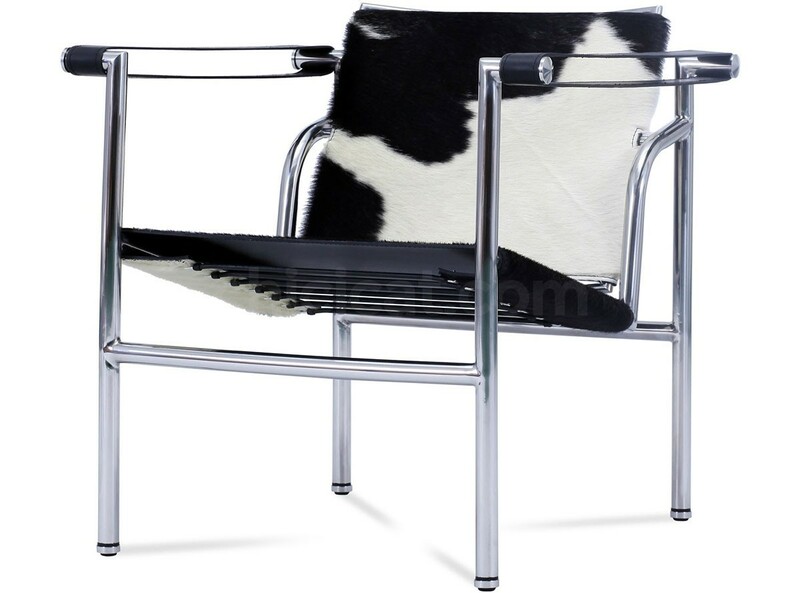 This is a platinum quality replica Le Corbusier LC1 Sling Chair in Cowhide (or Basculant Chair), designed in 1929, itself a reprise of an 18th Century foldable picnic chair. Constructed with Italian sourced 100% organic Cowhide with thick Italian Leather arm slings, the tubular Stainless Steel frame has been pre-stressed and is chrome finished. The Le Corbusier LC1 Sling Basculant Chair Cowhide (Platinum Replica) comes with a Two (2) Year Warranty free of additional charge. 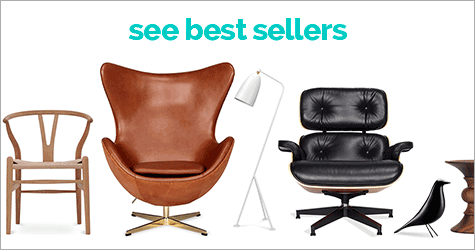 Click here to view the Saddle Leather LC1 Sling Chair. 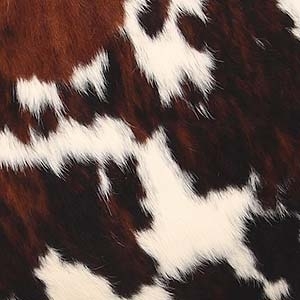 Upholstered in 100% Cowhide Leather ('Ponyskin'). All surfaces are 100% leather, not just contact surfaces. All piping, buttons and straps are 100% leather, not synthetic match. Base is polished Stainless Steel 304 grade, the highest quality grade used in furniture production. It is chip resistant and impervious to rust. Tubular Stainless Steel 304 Grade frame ensures sturdy construction. Offered in premium grade Leathers. This is a platinum quality reproduction of Le Corbusier's 1929 LC1 Sling Chair (or Basculant Chair) in Cowhide, itself a reprise of an 18th Century foldable picnic chair. 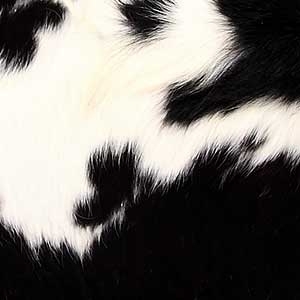 Constructed from 100% soft, natural Cowhide, the tubular Stainless Steel frame (#304 grade) has been pre-stressed and is hand-polished to a mirror-like finish. 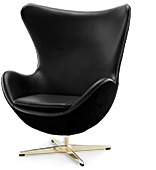 Click here to view the Saddle Leather LC1 Sling Chair. Received the items yesterday and I love my Chairs. I wish to order more same or different products for refreshing all furniture. The quality of products is superior and price is excellent compare to other retailer shops. Before another order, I will visit your showroom soon. Specially thank Pamela for your excellent service.